Experience Pinehurst No.1 Course with Golf Tours Abroad. 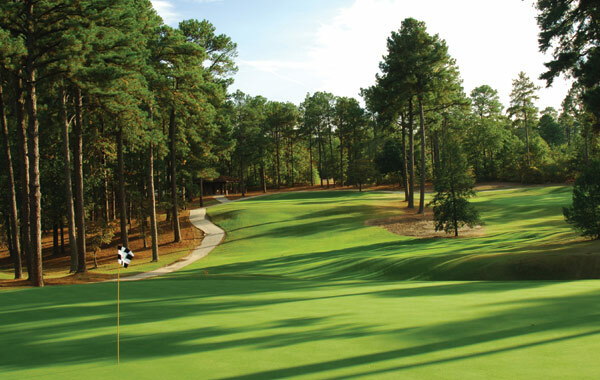 Donald Ross’ first course at Pinehurst Resort ® is a Par 70, 6,089-yard sheer delight to test your game. It all started here. When Pinehurst No. 1 welcomed players in 1898, golf aficionados flocked from the North to enjoy a winter round (early visitors included John D. Rockefeller and President William McKinley). After English golf legend Harry Vardon conducted a series of golf demonstrations at No. 1 in 1900, Pinehurst was on its way to being on the world golf map. Dr. Leroy Culver built the first nine holes and John Dunn Tucker added the next nine, but it is clearly Donald Ross’s touch that you feel on Pinehurst’s first golf course. Recalling his Scottish heritage, Ross made liberal use of bunkers, both across the fairway and around the green. Don’t let the short 6,089-yard par 70 fool you; wild drives or a sloppy short game can make for a long day. No. 1 was a great start for Pinehurst, and it’s a great start for your visit.